Goodbye Cherry Blossoms.. If DC got down to 24° its a 90% loss. They dropped to 21.9°. 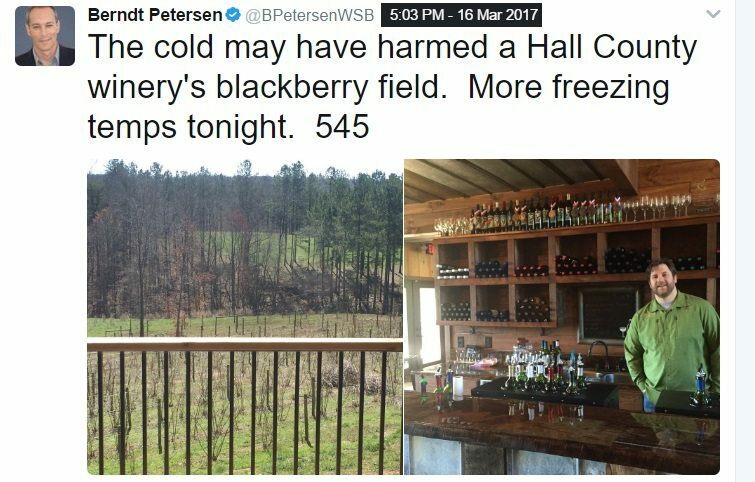 Wonder how many farms lost their peaches or seedlings. Ouch. 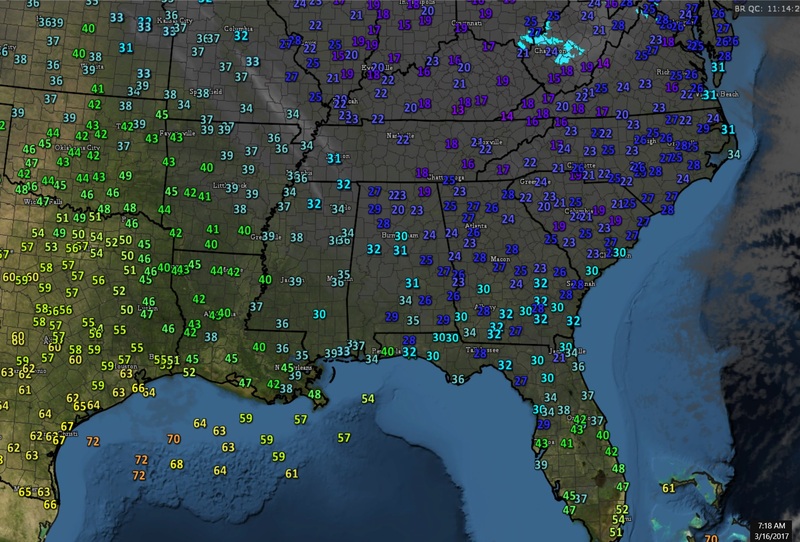 Another Cold morning down south. March 16, 2017. Such ashame the cold is killing the blooms and crops. 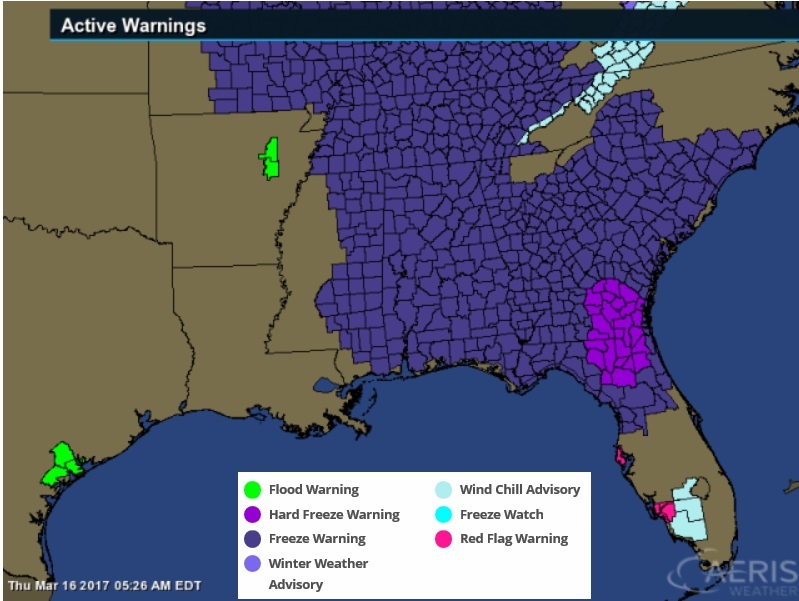 Let me see if I can find some reports but looking at the widespread cold of low-mid 20s, looks like there would be damage all the way down to central Georgia & South Carolina. 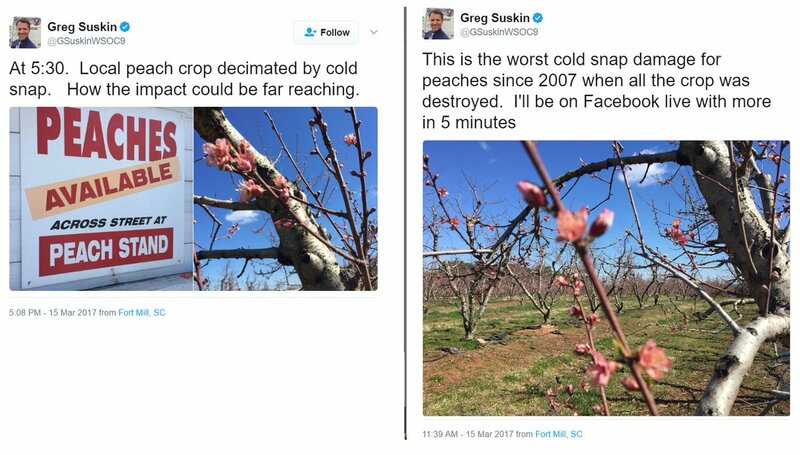 80% Peach Crop Loss on this farm in South Carolina from this Mid March Cold Blast. Video with FB link..
Yikes. Lots of damage I dont see mentioned enough. Its been a cold past 2 weeks and the southeast farms and blooms has suffered. I saw damage in Philly and Virginia too. So where will get our peaches this year? Will costs go up? In my garden I lost 100% of my blueberries and 100% of my pawpaws. All new growth on my figs is dead (should fruit but probably a month late and no breba crop). All new growth on my pomegranates is dead - no crop for sure. I think its going to be a really tough year on wildlife. Tons of wild fruits will have no crop this year - 100% loss on porcelain berry, 100% loss on hollies just to name a few I noticed. A significant number of oaks and other mast trees had all of the catkins killed (it actually looks like fall here with many the oaks leafed out but now brown). Have you guys been following what just happened in New Mexico, Texas, Kansas, Nebraska & Colorado? 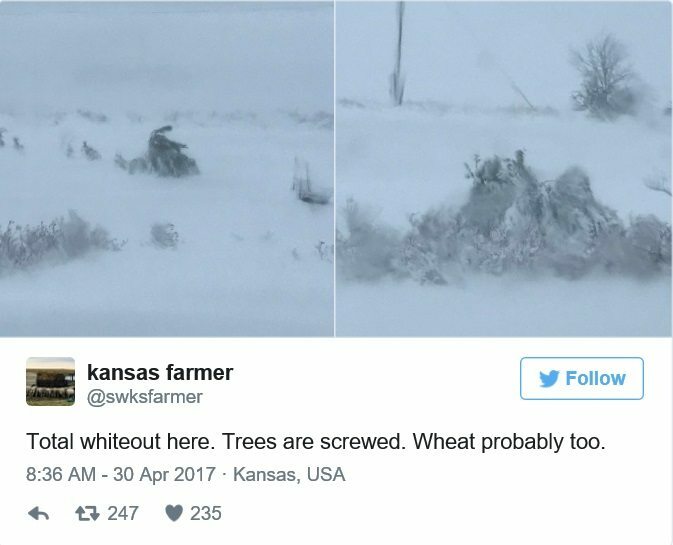 There was a blizzard in Kansas. April 30th! 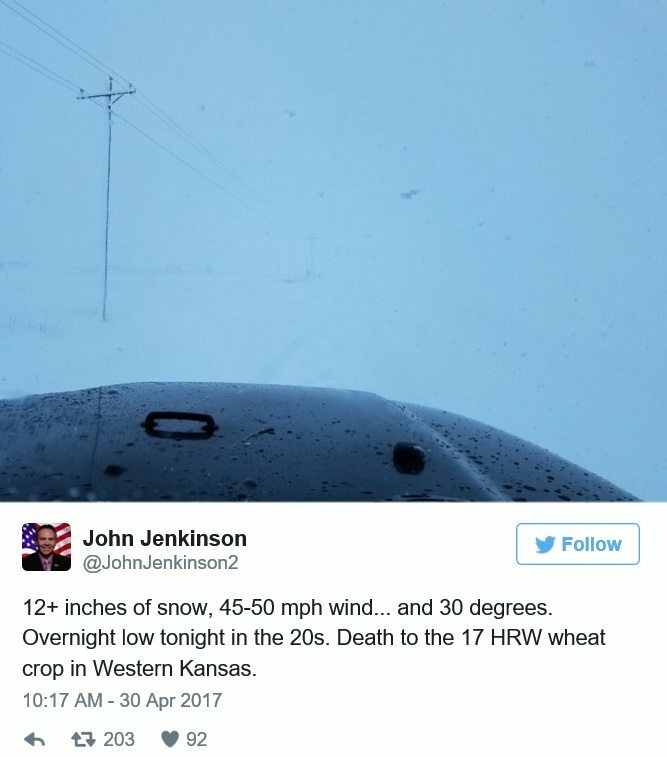 Interstate shut down in Nebraska. More importantly...and sadly.... 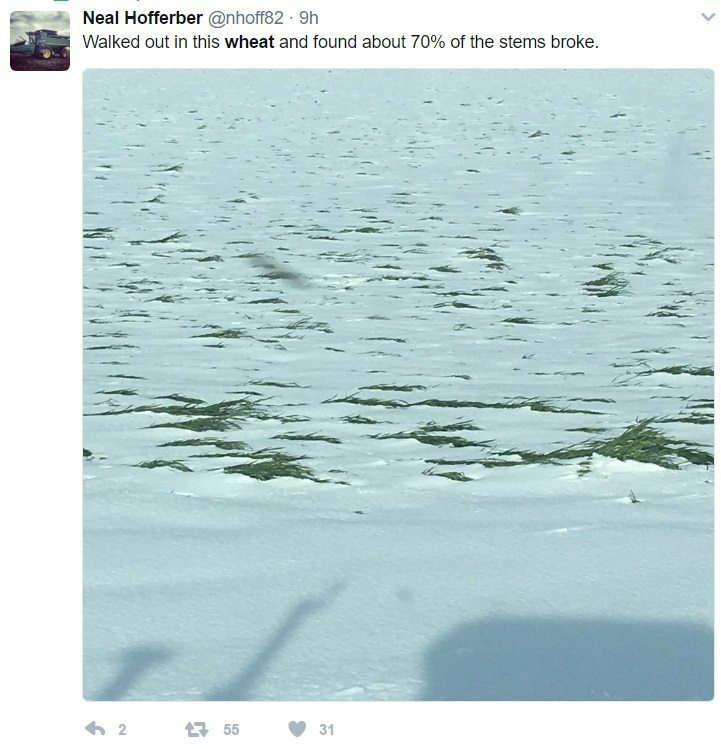 Crop Damage from the snow... See videos from the farms with 1st 2 links..